Successfully Added Ocean Wave Music Projector LED Night Light White to your Shopping Cart. 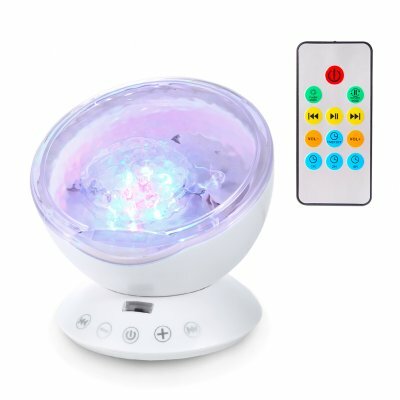 Mini projector that can project colorful lights on the smooth ceiling or walls to create a romantic, relaxing and delightful atmosphere. Adjustable Display Angle: 45 degree tilt, allow you to project the light straight up or point in a different direction according to your needs. inter-converted to create a romantic atmosphere of colorful flowing ocean waves.